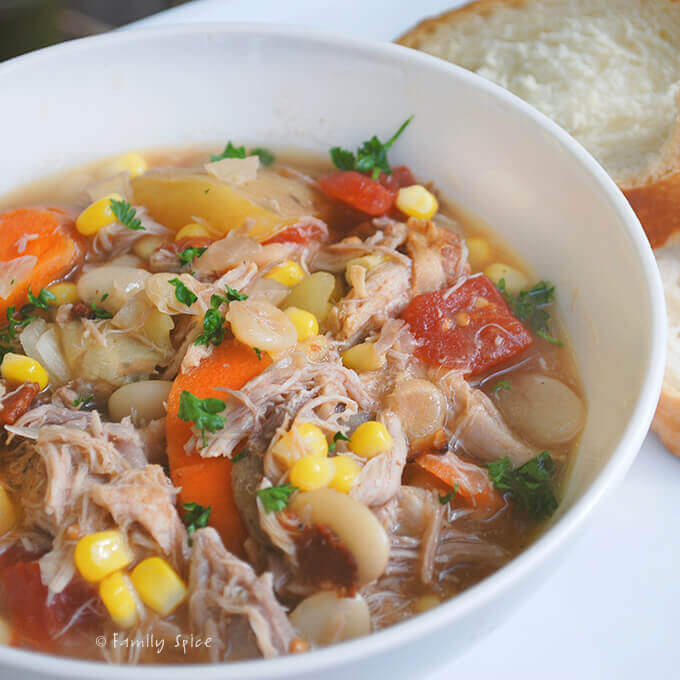 Brunswick Stew is a Southern classic originally made after a hunting expedition with squirrel. Today most Southerner make it with rabbit, chicken, turkey, ham, or pork, even beef on occasion. I always enjoy trying new things. That’s one of the reasons I joined the The Daring Cooks: to try recipes that I never would have dreamed of trying! And usually, it’s a complicated recipe, that requires skill and a lot of attention. Luckily, this month was easy, delicious and it didn’t hurt the wallet. The 2010 April Daring Cooks challenge was hosted by Wolf of Wolf’s Den. She chose to challenge Daring Cooks to make Brunswick Stew. 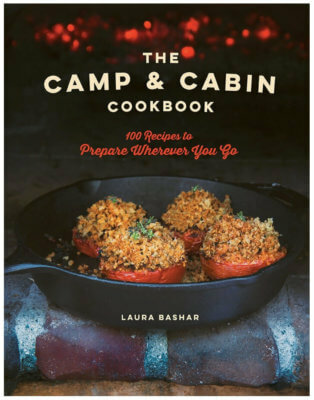 Wolf chose recipes for her challenge from The Lee Bros. Southern Cookbook by Matt Lee and Ted Lee, and from the Callaway, Virginia Ruritan Club. 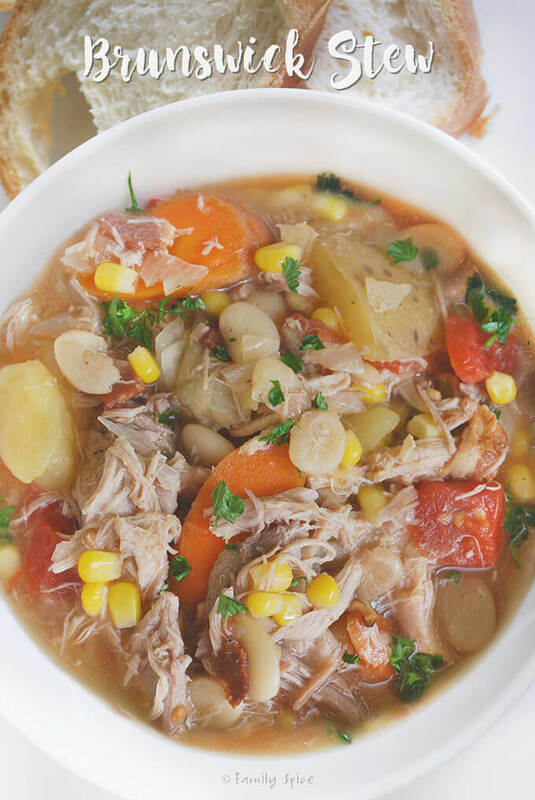 Like many other traditional recipes, the origins of Brunswick Stew is disputed. It is believed to have been made by a camp cook after a hunting expedition. Squirrel was the main meat used. Now, with the help of Brunswick Stew Cook-offs, you can find many variations of this classic dish. Today most Southerner make it with rabbit, chicken, turkey, ham, or pork, even beef on occasion. I made it with pork (using inexpensive boneless country-style ribs) and chicken. You start with bacon, of course, then some serrano chilies, which I omitted because I didn’t want it to be spicy for my kids. Next you brown the pork, then the chicken. 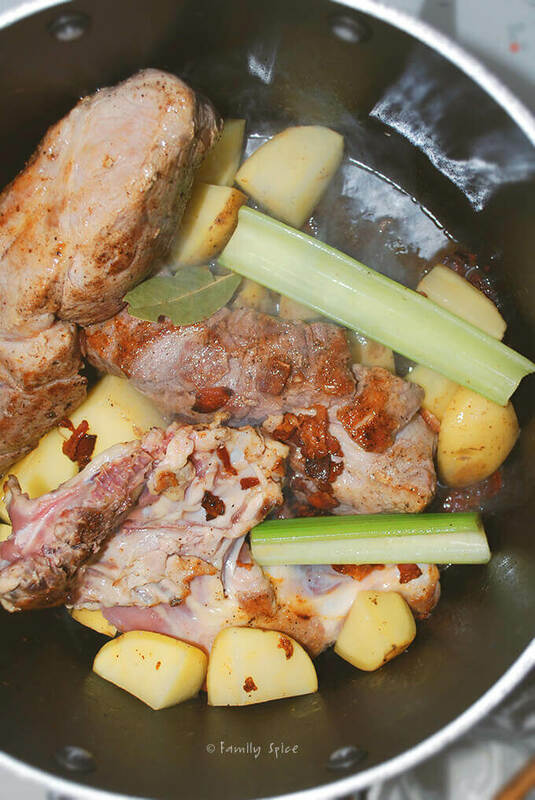 Deglaze your pot with chicken broth and put everything back in the pot with the addition of celery, potatoes and bay leaves. Simmer for a couple of hours until the meat is juicy, tender and falling off the bones. You remove the meat, shred and return to the pot. Discard the bay leaves. You can also remove and discard the chillies and bacon. I left the bacon in. Next add carrots, corn, butterbeans, tomatoes and simmer for another 30 minutes. What gives this stew the kick we liked, without making it spicy, is the addition of red wine vinegar and lemon juice when its done cooking. My husband added a dollop of sour cream when he ate his Brunswick Stew and raved about the results. I think this Sleeping Beauty is a great family recipe. I was happy to find a Southern recipe that didn’t include a lot of frying or fat. And of course, this recipe is easy on the family budget. Thanks Wolf’s Den for sharing this great recipe! 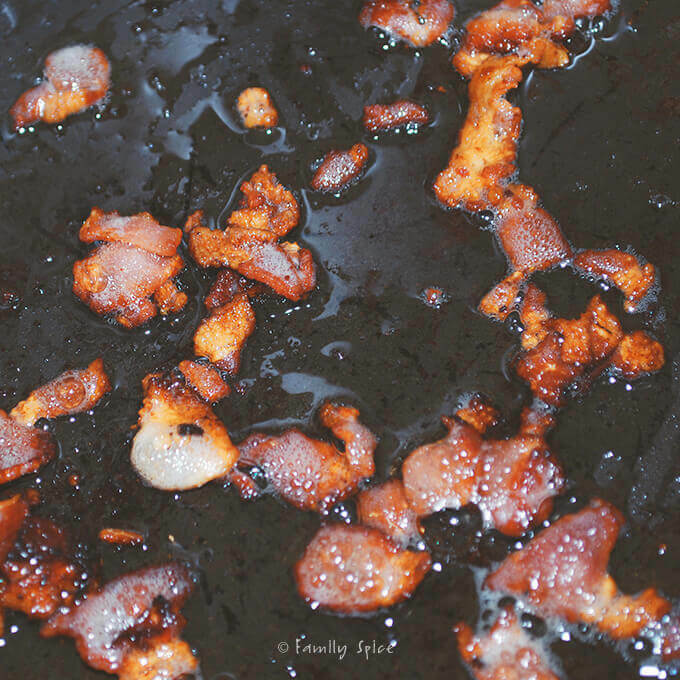 When bacon is crispy, transfer to a bowl and reserve. Toast for 5 minutes then transfer to bowl containing bacon. Place pork ribs in the hot pot and brown every side, approximately 3-5 minutes per side. Place chicken in the hot pot and brown both sides, approximately 3-5 minutes per side. 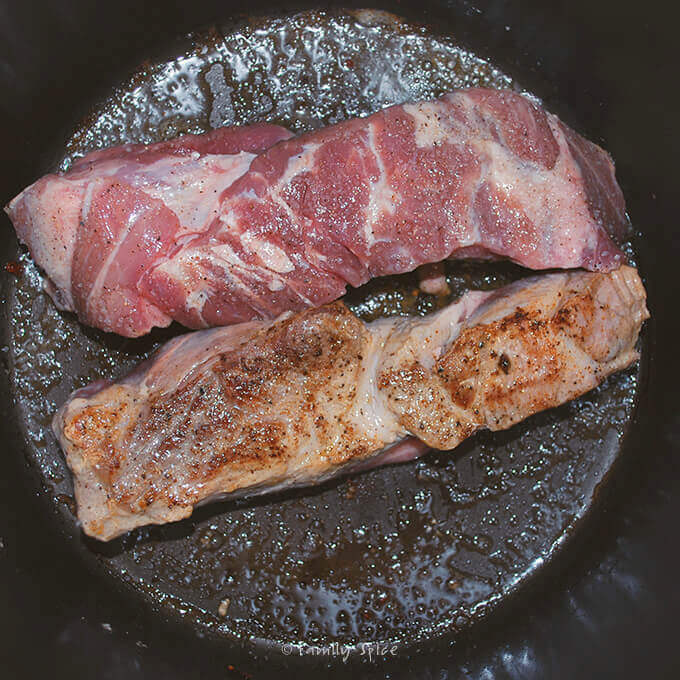 Using a wooden spoon, scrape up the browned bits of meat and bacon on the bottom of the pot. Bring broth to a boil and let it boil away until reduced by at least half. Bring the pot back up to a low boil/high simmer, over medium-high heat. Reduce heat to low and cover, remembering to stir every 30 minutes for approximately 1 ½ hours. 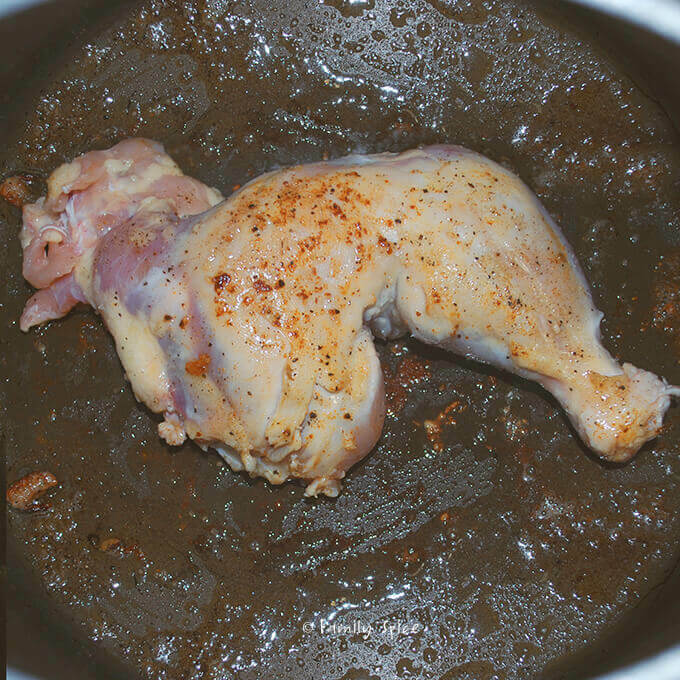 With a pair of tongs, remove the chicken and rabbit pieces to a colander placed over the bowl. Be careful, as by this time, the meats will be very tender and may start falling apart. Remove and discard the bay leaf, celery and chiles. When the meat is cool enough to handle, carefully remove all the meat from the bones, shredding it as you go. Return the meat to the pot, throwing away the bones. Simmer gently, uncovered, for at 20 minutes. Simmer for another 30 minutes, stirring every so often until the stew has reduced slightly. You can either serve immediately or refrigerate for 24 hours, which enhances the flavors. Serving Suggestions: Serve hot, either on its own, or with a side of corn bread, over rice or with any braised greens as a side. It is nice to hear that this recipe really was a WOW for the family and yes it is tasty and cheap and makes a ton of stew and with the sour cream a luxurious meal well done on this challenge. Cheers from Audax in Sydney Australia.